WillyWeather aims to be the leading global provider of local weather services. Serving four countries, available on three platforms and growing fast, our brand is dynamic and memorable. Willy-Willy is an Australian Aboriginal term for what is increasingly becoming known as a dust devil. We're hoping to revive the term by incorporating it in our name and immortalising it as our logo, while raising a few eyebrows in the process! 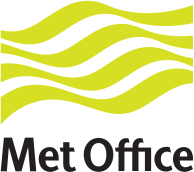 UK Met Office: "They are known by many different names across the world. In Aboriginal myths, the willy-willy represents spirit forms. Children were warned of a spirit that would emerge from the spinning vortex if they behaved badly. In Indigenous America, the Navajo believed they were ghosts or spirits of the dead called Chindi. Spinning clockwise they are good spirits, and counter-clockwise, bad." Dozens of advertising options for all budgets, with finely-detailed targeting tools. Get more from WillyWeather. Location Favourites, Notifications and more. Display up-to-date weather data on your website or WordPress-powered site for over 45,000 locations.